*This recipe was featured in a blog post I wrote for the Humana's Real For Me website. Click here to get the recipe. When I'm hosting a dinner party I love when everything is made individually - it is so much easier to prepare portions rather than just guess how much everyone will take. These Shrimp & Scallop Parchment Packets are such an elegant solution to a dinner party. Your guests will be thrilled to have their very own package to open for dinner - and it is fun to have something so rustic looking contain an elegant, fresh and flavorful dinner. 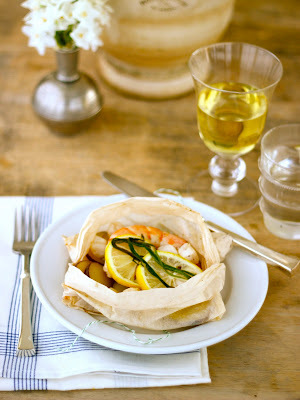 Each packet contains sliced potatoes, bay scallops, jumbo shrimp, lemon, garlic, chive and butter... an entire meal! 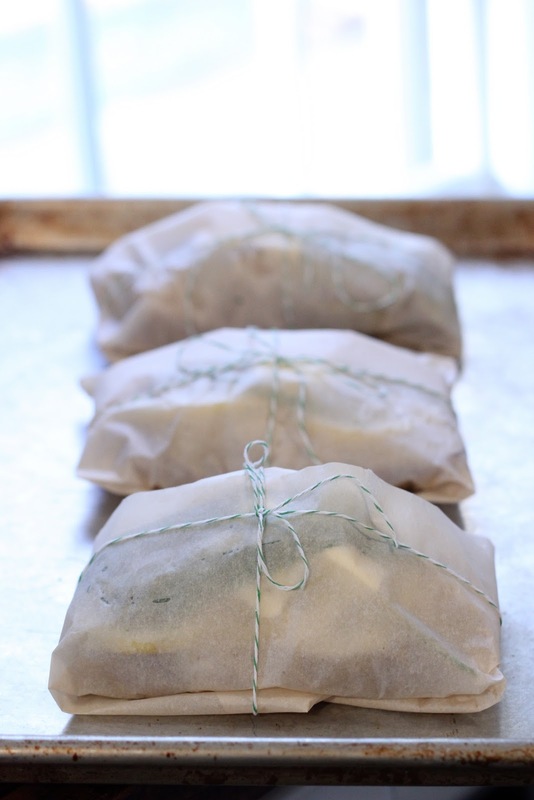 The lemon and garlic create an amazing aroma in the kitchen while they are baking in the oven. Your guests will be shocked to find such a wonderful meal wrapped in such a cute package. The contents before cooking... You can experiment with different combination of things you love.